We stay true to our name and use the best tools available in order to treat our patients as effectively and efficiently as possible. In today’s day and age, technology is evolving every single day. As a dentistry committed to only the highest standards in patient care, it’s only natural that we utilize the best tools in order to provide our patients with the best experience. The following showcases a few of the standout pieces of equipment that help us do our job as best as we can. Maintain your healthy smile for life with regular dental exams, cleanings, and X-rays. Our staff will your teeth and gums by removing any harmful plaque, and tartar. Regular appointments will al us identify and treat potential oral health. The “SOPROCARE” is a tool developed to assist the dentists with prophylaxis and periodontal treatments. 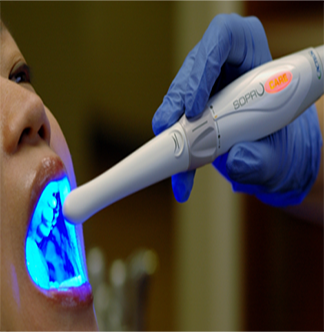 It works by utilizing a state of the art camera that integrates unique patented fluorescence technology to illuminate dental tissue in order to reveal caries in “CARIO” mode, as well as new and old dental plaque in PERIO mode. 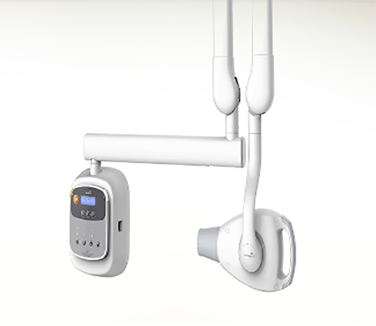 In Daylight Mode, SOPROCARE also serves as a camera, providing all of the necessary tools to perform a complete and time efficient oral examination to make our patient’s visits as prompt as possible. The Preva Plus is an intra-oral X-ray imaging system that changes the way we look at traditional X-ray machines. During the design stage, the mechanism was drawn out as ergonomically as possible so that the X-ray tube head can be positioned at any anatomical imaging position. With that said, the arm was made with stability and strength in mind, making it capable of producing distortion-free images thanks to simple positioning.